A young Belfast couple have revealed the dangerous lengths they go to for the perfect "golden glow". Hannah Tittensor (22) and boyfriend Benjamin Dunlop use tanning injections to darken her skin - something the NHS strongly recommends against. "It's pure and simple ... it makes me happy," said Hannah. "All the girls I see on Instagram or girls I know all wear fake tan or do sunbeds so why not instead of wearing make-up on your body basically?" Hannah has had a huge reaction to her social media posts. She has gone on to appear on ITV’s This Morning after featuring on web series Hooked On The Look. Her episode has had over 6.5million views across social media since its first broadcast. Some of the reaction, however, is abusive, something Hannah has said she has come to terms with. “People saying I want to be a black woman trying to switch races just because I am tanning. I don’t care, these people don’t know me,” she told the show saying she is used to the abuse. "Type in blackface in Instagram or Google and my name will come up. 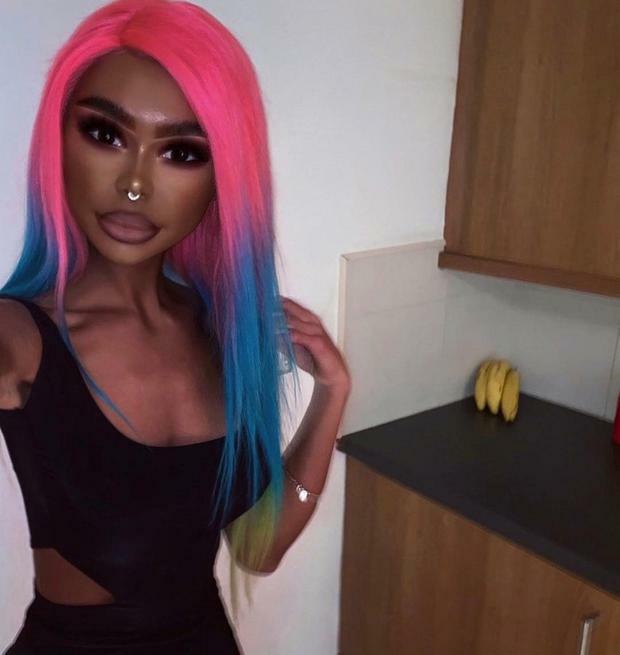 All for having a tan... quite an extreme tan. She added: "I'm white and I like to be overly tan." Beauty therapist Hannah started using sunbeds at 17 when she met her boyfriend Benjamin. Hannah Tittensor, 22, from Belfast. She had used sunless self-tanning products but stopped because she didn't like the smell or how they went patchy when washed off. She still uses sunbeds. Hannah was first introduced to the injections by her brother who turned up one day a completely different colour. Ben was impressed and immediately started using them. For Hannah it took her some time to come around to the idea of injecting. "It was like 'oh my God, that is quite frightening'. You are injecting something into your body but it is really not that bad... Ok it kinda is," she added. Hannah admits she is obsessed with her tan. "I don't really see it as anything extraordinary really, I just see it as me." Hannah and Ben inject themselves with tanning drug melanotan, a synthetic hormone that increases the levels of melanin in the skin which causes the skin to darken. The NHS advises anyone taking the drug to immediately stop "for their own safety" and see a gp as it has not been tested by the UK medicine safety agency. 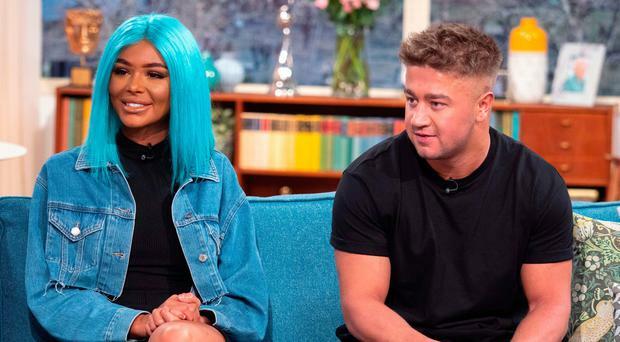 The couple appeared on ITV's This Morning to talk about their use of the drug. Ben has suffered serious consequences from taking the drug. He suffered a stomach abscess after contacting a bacterial infection from the tan. "I don't buy them online any more. But I just love being tanned," he said. He added: "I just always liked being tanned. On family holidays we used to compare ourselves and see who could get the darkest." Hannah admitted she was not aware of the advice or the regulations surrounding use of the drug. She says it does cause her concern though given how there is a history of cancer in her family. "We do worry about cancer ... my mum thinks I'm an idiot," she added. Hannah's sister Rachel says she believes her image all about her insecurity. "Without all that, she is absolutely stunning and she just doesn't know it," she said.